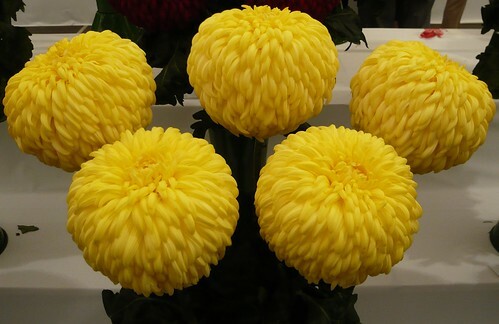 I took my camera to the Autumn flower show and came back with some colourful pictures of great Chrysanthemums. On the doormat when I got home was a newly printed catalogue for Chrysanthemums so I thought someone was trying to tell me something. I have not been patient or focused enough to grow good Chrysanthemums so I hoped the catalogue would give me enough pointers to fire my enthusiasm but unfortunately not. 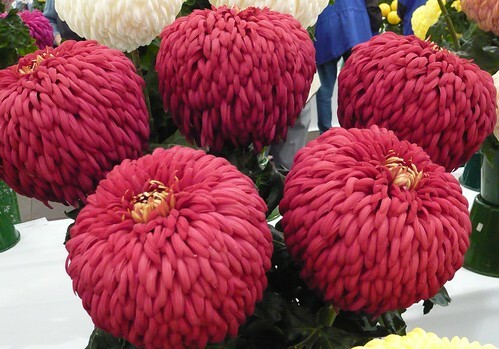 If I want to know about growing Chrysanthemums I am going to have to consult my gardening book library. In the mean time it is a ‘ reflex’ action to continue with my usual spray chrysanths and pot mums but not focus on buying plants now for delivery from February onward in the hope of growing show plants for next Autumn.